Pre workout supplements without creatine are becoming more and more common. After all, the meathead look is out, and the ripped aesthetic functional strength body is in. Well, regardless of your stance on that issue, here are some additional reasons (including but not limited to). Finding a selection of pre workouts without creatine in them has gotten easier. But, that’s the small part of the problem. The real issue is, out of these non-creatine pre workouts, how do you find the best one for you? Well, you can use our experiences and BWSB network reviews to narrow down the selection. From there, do your own due diligence to make sure it’s a perfect match. Kicking off our creatine free pre workouts ranking, we’ve got PRE Original by the Australian bodybuilding supplement brand Staunch. Compared to other pre workouts we’ve tried, this stuff is special to us. For one, it’s not made by a run of the mill ‘get-money’ supplement company. Instead it’s created by the inspirations of 4X Olympia Winner and Aussie native Calum Von Moger. But that’s not the come one come all. Rather, in Staunch PRE Original – the ingredient profile stacks up, positive reviews keep flowing in, and our own personal experiences were off the chain! For those reasons, we’ve expedited PRE Original to the head of our best creatine free pre workouts list. Because at the end of the day, we believe in this product. Note: Staunch PRE Original is one of 3 pre workouts in the Staunch supplement line. The other two pre workouts are PRE Zero-Stim and PRE Koala Freak (“More of Everything” Pre Workout). Each of these are 100% creatine free! Coming in second place, is our beloved duo from Transparent Labs – BULK and LEAN. For this page, we really wanted to give you a fresh, fresh option that performs fantastic, and Staunch PRE was perfect for that! However, the Transparent Labs PreSeries will always be close to our hearts, as you will notice in our other designated top 10 lists. Compared to every other pre workout, we really recommend that you look into either BULK if you are looking to build muscle, or LEAN if you are looking to cut fat. Either option is creatine free, yet loaded with all the right ingredients in doses you won’t find anywhere else. To learn more, you can see our full PreSeries BULK review here or our full PreSeries LEAN review here. In third place comes Quake 10.0 pre workout made by long-time supplement maker Scivation. Like Staunches pre workout line, Quake 10.0 is brand new to the industry and making waves. Inside Scivation Quake 10.0, you will find a pump complex similar to Staunches, along with a large 7 gram BCAA dose in the 2:1:1 ratio. That right there makes Quake 10.0 some very powerful stuff! But, with all good things come a cost. For Scivation’s Quake, that cost is twofold. First, it’s expensive. 10 servings is going to run you $30, 20 servings costs $50! Second, you better like caffeine a whole lot. Each serving contains 350 mg which is on the outskirts of most bodybuilder and athletes preferred limit. But, if you are willing to spend $50 for 20 servings, and can handle the 350 mg caffeine ride – it is worth noting that this stuff tastes pretty great! Quake 10.0 comes in Lemon drop and Watermelon Bubblegum, and has 3 grams of carbs sweetening it all up. As a relatively new pre workout to the market, BARE ENERGY by Eat the Bear (ETB) is a decent smaller-dose supplement. While looking at BARE Energy, it’s important for you to realize that most of their claims are based upon taking a double serving. For instance, to get 6 grams of citrulline malate and 4 grams of beta-alanine… You’re going to need to take two scoops, cutting your total servings per container in half. But despite this, Bare Energy is still formulated a lot better than most pre workouts out there. As we get more feedback on this product, it may make it to a 5-8 ranking on our official top 10 PWO list. Until then, it has a secure spot here on our creatine pre PWO list. Animal Fury pre workout may not contain creatine, but it does contain a powerful list of performance enhancing ingredients. It really boggles our mind how effective this supplement is given that the entire product contains just 5 active ingredients. When looking for this pre workout it is important that you choose Animal Fury and not Animal Rage XL. The XL formula contains creatine monohydrate. Currently, standard Animal Fury is only available in a 10 serving container, so it may be on its way out of production. But for now, if you’re the type of bodybuilder that spends longer hours in the gym than most, or if you just demand a reliable, well-rounded source of energy: Animal Fury is a good choice for you. If Animal Fury was to be classified, it would be an energy/endurance powerhouse that competes well with NO Extreme and White Flood even though it’s a creatine free pre workout supplement. It is important to point out, that Animal Fury contains 350 mg caffeine just like Scivation Quake 10.0. With that being said, rookies approach with caution, this is probably too much caffeine for you! Like you know, creatine is not a supplement that everyone benefits from. This is not because there is a problem with creatine itself; in fact it is a very safe and useful supplement. Rather, a small percentage of people have a difficult time properly absorbing creatine into their muscle cells. This can be due to several different reasons, often genetics related. This can often be overcome by switching creatine sources from say monohydrate to HCL or Di-ester. But, in the end this will not be a solution for every single person. If you cannot take creatine, do not fret. There are many very successful bodybuilders whom have achieved their status without the use of creatine; we know you can do it too. Do Creatine Free Pre Workouts Do The Same Thing? Creatine free pre workout supplements still deliver great power while you’re in the gym. 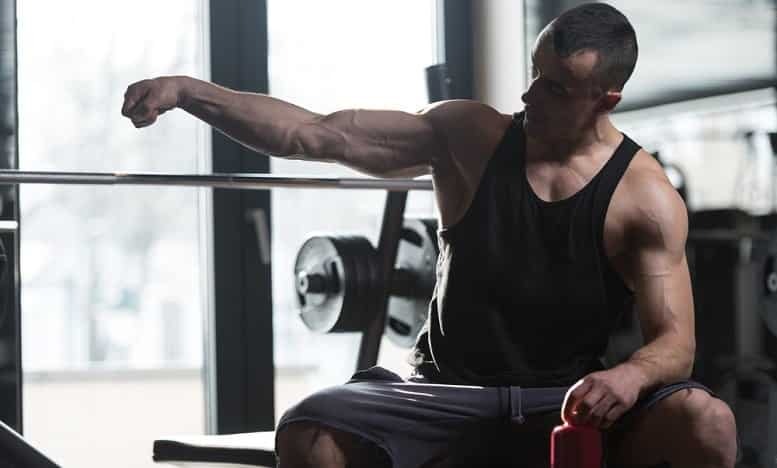 Besides the ‘inflated creatine pathway’; inflated because your body naturally makes a certain amount of creatine – pre workout supplements without creatine contain other sources of cellular energy that are just as effective if not more. Really, the only dis-advantage is missing out on the cumulative effects of creatine in addition to these other energy pathways. This concludes our best 5 creatine free pre workout supplements. We have a ton of other valuable fitness articles across our website, check us out and give us a Facebook thumbs up. After labs came back my doctor says to stay away from creatine. She mentioned kidneys and a high sodium count (?) I eat good and do not put salt on anything. Great article find. As a GNC employee and a female with a health condition (type1 diabetes) I choose not to do creatine because of the effect it can have on the kidneys. But there are other that offer no creatine. Optimal nutritions pre- although bitter to the taste it works, bpi’s 1M.R vortex , NDS( not sold in all stores) cardio cuts and Bcaa which can be used pre-workout, intra, and after. My two favs. Cardio cuts and volt (although bitter tasting).